Standardized testing is a subject that many people feel strongly about. Most people either think that it is the best way to assess students’ abilities or it is a stress-invoking nightmare for everyone involved. However, if you step back and look at it objectively, it becomes clear that it is neither. Standardized testing has both positive and negative aspects and when used effectively can play a significant role in bettering the education of our students. The key, of course, is using the results effectively. There are some who believe strongly in either direction. In addition to the pros and cons listed below, you can read more arguments supporting standardized testing, and an argument against standardized testing. 1) Standardized testing gives teachers guidance to help them determine what to teach students and when to teach it. The net result is less wasted instructional time and a simplified way of timeline management. 2) Gives parents a good idea of how their children are doing as compared to students across the country and locally. This can also indicate how your local area is doing compared against the national landscape. 3) Allows students’ progress to be tracked over the years. When students take the same type of test yearly (adjusted for grade level) it is easy to see if a student is improving, losing ground academically, or staying about the same. (For example, if a child is taking a norm-referenced test and scores in the 75th percentile in the sixth grade and the 80th percentile in the seventh grade, you can see that the child is gaining ground in school.) This helps determine how a child is doing academically. 4) Since all students in a school are taking the same test (with respect to grade level) standardized tests provide an accurate comparison across groups. (For example, this makes it easy to see how boys are performing as compared to girls in a particular school or district.) Over the years great improvements have been made with regards to test bias, which has led to more accurate assessments and comparisons. 1) Many teachers are (unjustly) accused of teaching to the test. Most do not do this, but some feel so much pressure for their students to achieve a specific score that they do end up teaching to the test, whether they want to or not. This can make school drudgery for students and steal teachers’ enjoyment of teaching. 2) Some school systems are under great pressure to raise their scores so they have resorted to decreasing (and sometimes doing away with) time spent in recess. This can have negative impact on children’s social, emotional, and academic well-being. 3) Standardized tests can place a huge amount of stress on students and teachers alike. This can lead to negative health consequences as well as feelings of negativity directed at school and learning in general. Read more here about how to help students deal with this stress. 4) As much as test creators try to do away with testing bias, it may be impossible to rid tests of it altogether. I once tutored a 5th grader who did not know what a recipe was. If a standardized test was to ask questions directed at a recipe, that child would have been at a huge disadvantage because most fifth grade students know and have had at least some experience dealing with recipes, but she did not. There is just no way to know for certain that every child being tested has a fair amount of knowledge going into the test. The key to student success on standardized tests is balance. Those in charge need to step back and take into account both the good and the bad things about testing and find a way to help students succeed without causing them too much stress. Will there ever be an end to the constant back and forth between testing advocates and those against standardized testing? It’s hard to say, but I feel relatively certain that for better or worse, standardized testing is here to stay. I believe the key is to use the test results as a guide for teachers, parents, and students. They should also be used, in a limited capacity, to assess how well schools are doing. 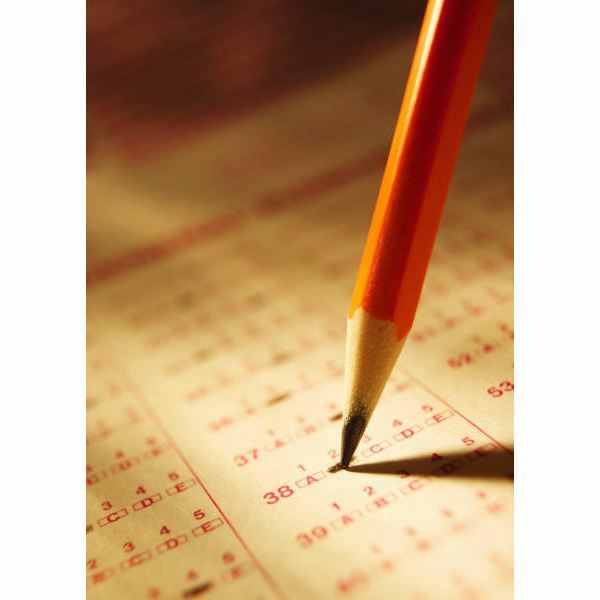 Standardized testing certainly should be used to help measure a school’s success, but it should be one assessment among several that determines whether a school's students are progressing or not.